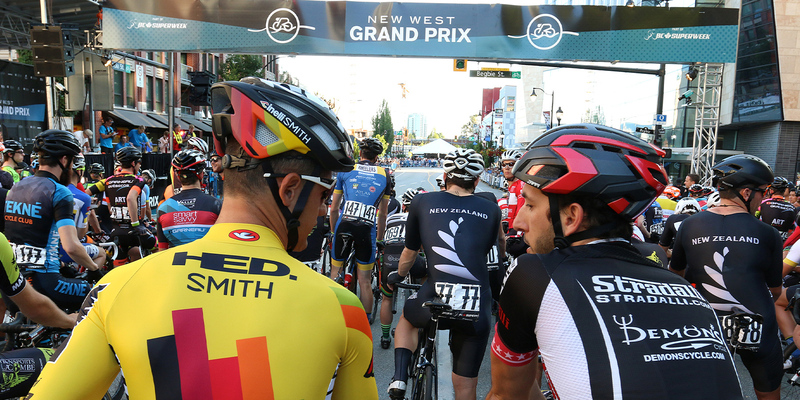 BC Superweek is pleased to announce that online registration is officially open for this year’s series, which includes the Tour de Delta, New West Grand Prix, Global Relay Gastown Grand Prix, Giro di Burnaby presented by Appia Development, PoCo Grand Prix presented by Dominion Lending Centres, and Tour de White Rock. “BC Superweek continues to grow as one of North America’s most recognized professional road race series and the interest from teams and riders to register as soon as possible has also increased. As such, we decided to open registration earlier this year than ever before,” said Series Director Mark Ernsting. BC Superweek features seven criteriums and two road races, one of which is UCI-sanctioned for both men and women. More than $140,000 in prize money and crowd primes is up for grabs during the week, while crowds of more than 20,000 are expected for the Global Relay Gastown Grand Prix’s historic 45th anniversary on July 11th. 2018 also marks the fifth straight year that BC Superweek offers equal prize money to both the men’s and women’s finishers at all nine races, making the series one of the most lucrative professional cycling events on the continent. At just 18-year-old, Coles-Lyster has competed in BC Superweek events for several years, including a second-place finish at last year’s PoCo Grand Prix. The Maple Ridge, BC native also won gold in the junior track world championship points race in Italy last August. Riders attending BC Superweek can request host housing. All requests are managed on a first come, first served basis and assigned to homes based on community availability. Host housing requests are not guaranteed, and housing arrangements are not assigned until late-June. Online registration is available through the BC Superweek website, with early registration discounts in effect until Tuesday, June 5th.